gps4cam is now available for Android, (see gps4cam for iphone here and here) If you camera doesn’t have a gps unit, the gps4cam helps you to geotag your images. The gps4cam Android app work in a same way as its iPhone version, it creates a QR-Code that allows this data to be easily synchronized with photos using the associated ‘gps4cam Desktop’ PC or Mac software. Works with every digital camera, every format (jpg, raw…). Geotag your pictures without having to worry about time synchronization. No need of any connection to internet or any other network. Share your geotagged pictures on on websites like Flickr, Picasa and Panoramio. 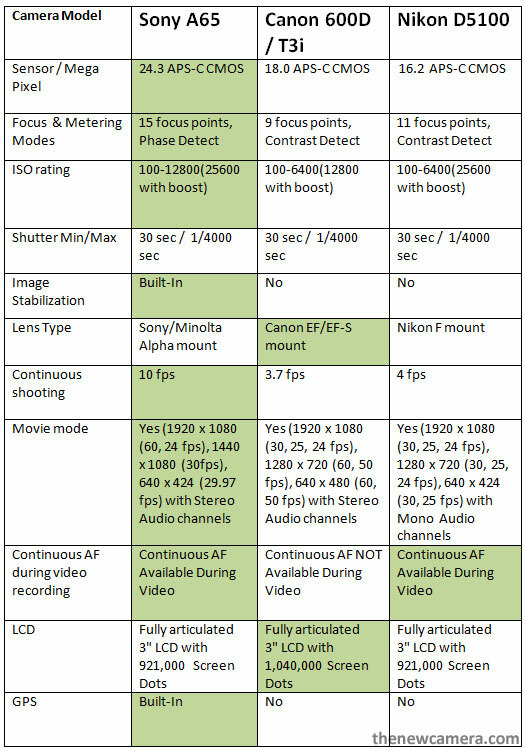 Sony A65 vs Canon T3i / 600D vs Nikon D5100, See comparison review of all the three camera and select your best (mid-range) entry level DSLR. Sony A65 have more megapixel, More AF points with fast phase detect system maximize the value of Translucent Mirror Technology, Sony A65 features world’s shortest release time lag at only 0.05 seconds. The ISO range in normal mode can be extended upto 12800, 10 fps of fast Continuous shooting, better movie mode with Continuous AF during video recording. Conclusion: Sony A65 is a clear winner of mid-range entry level DSLR camera. Pentax O-GPS1 is compact GPS system, Just fix the GPS where you fix your flash and that will Geotag all your photos with the appropriate coordinates. 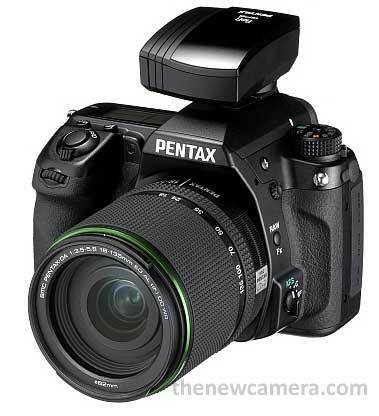 , Pentax O-GPS1 will work the K-5, k-r and 645D. Pentax O-GPS1 comes with ASTROTRACER for PENTAX K-5 or K-r camera body, the ASTROTRACER function couples the unit with the camera’s SR (Shake Reduction) system and enables users to photograph celestial bodies. The unit can calculate the movement of stars, planets, and other bodies using the latitude obtained from GPS data and the camera’s alignment data (horizontal and vertical inclinations and aspect) obtained from its magnetic and acceleration sensors, then shifts the camera’s image sensor in synchronization with the movement of the objects. As a result, stars and other bodies are captured as solid points rather than blurry streaks, even during extended exposures. 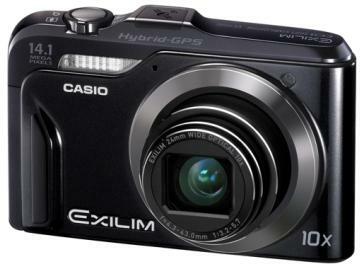 Casio’s EXILIM Hi-Zoom lineup, the EX-H20G offers an impressive feature set as well as Casio’s state-of-the-art Hybrid GPS technology, which makes the camera perfect for traveling. Thanks to Casio’s Hybrid GPS system, the EX-H20G offers ultra-precise location data for the geotagging of photos and videos and is also the first camera able to geotag indoors. Additionally, the EX-H20G can display the user’s current location – as well as geotagged photos and videos – on a map which can be viewed right on the camera itself. The EX-H20G will be available November 2010 for $349.99.